There are a number of discussions and articles on the need for more convergence and collaboration between IT service management (ITSM) and DevOps; and I’m fully for that – these areas are complementary. ITSM provides the necessary structure and the ‘what’ that organisations need to do to manage and deliver, whereas DevOps provides guidance on the culture, the ‘how’, and how to do this to meet business demands for speed and flexibility. At the recent DOES18 Conference in London, one of the initial announcements (made by host Gene Kim) was that the conference would include 20% of ‘OPS’ content. This had followed feedback from previous conferences that had indicated that there was not enough ‘OPS’ in these events. This was a positive development, and one which was mostly borne out in the content of sessions. A number of sessions covered operations and management issues – more of that later. One session that hit the nail on the head here was from Rob England and Cherry Vu on the need to join up ITSM and DevOps. This session highlighted the gaps and areas of crossover between ITSM and DevOps and covered a number of models and frameworks. This included reference to integrated models such as VeriSM and the ITIL Practitioner publication. There have also been many good articles from the likes of Doug Tedder, Kaimar Karu, and Roy Atkinson talking to the same topic. Yet, despite all of these inputs there still seems to be a gaping void between the proponents of each area – whilst many people are trying to build bridges, there are also a vocal few who definitely are not. Apart from the concession made at DOES18, there is also little practical work or real evidence of progress. I have two main observations to make on this subject, much of it borne out from my discussions and meetings at DOES18; and I hope these can add some further value to the debate on how to progress with this. Firstly, one big area of division is the tools market – this is greatly apparent when visiting either ITSM or DevOps events, where you will see tools that work mostly in one area but very few that operate in both. At DOES18 I was besieged by many decent vendors pitching the value of their products, although none seemed to have any function beyond development – i.e. there was no interaction with operations or the actual ‘running’ of services. To me this a big omission, as there is much value that can be fed back into the development process based on feedback from live operations. Similarly, at any ITSM events you will find mostly ITSM products and not much in the way of interaction or interface with ‘build’ – again a major opportunity lost. For me if there were more vendors (yes there are a few, just not enough) who can offer more integrated products that ‘cross the divide’, this would be a helpful and productive development for the industry and for them…! It’s tangible to the point of embarrassing to sit through some ‘DevOps journey’ sessions that are basically about good management and communications, which we’ve seen at ITSM events for the last 20 years. It’s similarly embarrassing to hear little about how we can apply this knowledge and experience to other areas beyond the ITSM world at ITSM events. This was why the DOES18 announcement was refreshing, if a little overdue. Both areas can learn from each other, DevOps can mine the rich seam of organisational change management (OCM) experience from ITSM. ITSM people need to open up and get out more to engage with some new ideas but also to make themselves available to the DevOps community as sources of useful and practical experience and knowledge. Most people in ITSM have been through the OCM stuff and therefore many of the answers are already there. DevOps has its own context and areas of expertise that would service ITSM people well. So, we need more interaction, more speaking at each others’ events, more discussions at the industry level and of course, more products that help to bridge the gap between two very complementary worlds. Barclay Rae has extensive experience as a consultant, analyst and subject matter expert in IT Service Management. He also has considerable business and management experience in the industry, both as a consultancy vendor and also working with industry bodies and vendors such as SDI, AXELOS, APMG, and Axios. 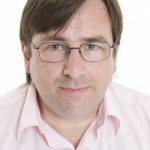 He brings industry and subject knowledge to ITSMF UK's strategic direction, as well as practical experience and commercial skills in running a small business organisation.